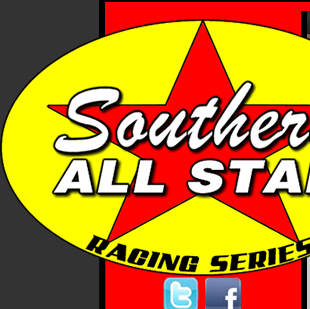 RACE RECAP: GAFFNEY, SC--The Southern All Star Dirt Racing Series presented by Max Fab sanctioned the 17th Annual Ginger Owens Memorial March Madness and Jonathan Davenport of Blairsville, GA., scored his ninth career Southern All Star win Sunday afternoon at the Cherokee Speedway. Davenport set fast time in SUNOCO Race Fuels/Knowles Race Parts qualifying, led all 10 laps in his Hoosier Race Tires heat race and then led all 60 laps to take home the $12,000 first place prize. Ross Bailes of Clover, SC., came home in the second spot as he challenged Davenport a few times on restarts but could never make it stick. Jimmy Owens of Newport, TN., swapped the second and third spots with Bailes several times and finally had to settle for third, fourth to Michael Page of Douglasville, GA., who was making his first appearance at the South Carolina track and brought home a fourth-place finish and David Breazeale of Four Corners, MS., finished in the fifth spot as he was making his first visit to the South Carolina track. Dustin Mitchell finished in the sixth spot Chris Madden seventh, Brandon Overton eighth, Riley Hickman ninth, and Zach Leonhardi tenth. RACE TIDBITS: Riley Hickman has taken over the points over David Breazeale after Cherokee, Zack Leonhardi is third and also leads the Cruise with the Champions/Dirtondirt.com rookie of the year standings, defending Southern All Stars Champion Jay Scott made it all the way to fifth till a flat time with less than five laps remaining relegated him to a 15th place finish. 19 cars finished the race with 16 finishing on the lead lap.